The Stage One Producer Placements offer unique hands-on training and development opportunities within established producing companies for outstanding entrepreneurial individuals. We believe that being within a dynamic and successful company is the most important experience emerging producers need in order to hone their skills, and in the past have placed trainee producers in companies such as Sonia Friedman Productions, Mark Rubinstein Ltd, James Seabright Productions, Headlong, Playful Productions and Ambassador Theatre Group. In 2018, we funded 6 commercial placements and 4 regional placements. Each role requires the candidates to be able to demonstrate a dedication to a career as an independent commercial theatre producer with ideally at least 1-2 years’ experience as a (fringe/small scale) producer (this is essential for regional placements). This unique placement aims to identify, develop and support the most ambitious and promising emerging producers by providing them with hands-on training in the West End. The placements are involved in all aspects of production and ideally will work on two or more shows opening in the West End or going out on tour. We aim for each Trainee Producer to do 2 x 6 month placements in different producing offices to expose them to many different types and scales of work. Successful candidates will be added to our pool of London Trainee Producers and will be placed in our partner producing offices at times that suit their availability throughout the year. Applications for London Commercial Trainee Producer placements 2019 are closed. Please log in or sign up to access current opportunities. We are delighted to announce that our hosts for 2019 are; HOME Manchester, Leeds Playhouse, Royal Lyceum Edinburgh & Wiltshire Creative! Northern Stage will also be hosting a 7 month placement following on from last year. Find out more about the scheme and our fantastic hosts here.  “Stage One is a brilliant and unique organisation doing vital work to support early career Producers across the U.K. At Leeds Playhouse, we endeavour to support artists from the region in their artistic development across a range of disciplines, and we are delighted to be working with Stage One again to create this much needed opportunity for Producers." “We couldn’t be more thrilled to be recruiting for a Stage One Producer Placement for 2019. Our year gets off to an exciting start with the biggest show the Lyceum has ever produced, the musical Local Hero. Following this a series of productions that David Greig, our Artistic Director, and our team have put together that we’re really proud of. The main opportunity for the person stepping into this placement will be to work with many fantastic artists, some of Scotland’s finest as well as many from our National and International partnerships. I also hope they will become a valuable cog in our producing house and get a real insight into our Season planning that will excite the right person. With projects planned across the world and right here in our beautiful capital city there is much to experience for the successful individual who is keen to learn and throw themselves in”. Host organisations will expose placements to high quality, potentially commercial work and allow them to develop the commercial aspirations of the organisation through co-productions, touring and/or transfers. The placement will develop the trainee producer's knowledge through hands-on experience and increase their commerical contacts within the industry. The subsidised houses we work with will be more ambitious in their plans to exploit more of their work and ALL will acknowledge the importance of the placements, in supporting this cultural change.The appointed producers will also receive an additional bursary to allow them to travel to and from London to take part in additional mentoring and training provided by Stage One. Regional Placements are supported by The Esmée Fairbairn Foundation and Risk Capital Partners. Applications for Regional Trainee Producer placements 2019 are closed. The Stage One placement has been integral to the start of my Theatre Producing career. The placement has allowed me to access a wealth and breadth of information and advice, an opportunity I wouldn’t have had without this unique scheme. This information and advice has allowed me to develop my theatre producing skills quickly and as a result given me greater confidence in pursuing this career path. I would wholeheartedly recommend the Stage One Placement to anyone wanting to pursue a career in commercial theatre producing as I think there is no stronger springboard into the industry. To apply to the Producer Placements, you'll need to become a Stage One member. Becoming a member offers you opportunties and resources, as well as allowing you to build your own Producer profile. It's completely free to sign up, so what are you waiting for! What is the Producer Placement and what is the difference between the Regional and London schemes? Both the London and regional schemes are designed to offer a unique opportunity for emerging producers to work in a busy West End production office or a leading regional theatre. The trainee producer takes on some of the responsibilities of a Production Assistant, but will also be provided with hands-on training as a producer. Their mentor, who will be a senior staff member, will guide the trainee producer through their training and report back to Stage One on their progress. The trainee producer will be able to attend additional Stage One development courses and training as part of their placement. The Regional scheme will be a 12 month placement with the host venues selected by Stage One. You will already know the host venues before you apply and you can apply to more than one venue. When applying to the London Commercial placement you will be applying to enter a pool of producers who will then get the opportunity to apply to selected production companies when the placements become available. Placements become available throughout the year. You will then either be placed for 6 or 12 months with the production company. You will get the option to relocate to another production company after 6 months or stay at your current production company (placement dependent). Stage One aim to offer a maximum of 12 months training/placement and there may be a gap between the two fixed-term contracts. Please note that placements are subject to availability and we cannot guarantee 12 months continuous training. We recommend if you’re passionate about a career in theatre producing to always apply to our schemes. Ideally applicants should have at least 1-2 years’ experience in a theatre related role and/or you have produced work in the Fringe or off West-End. If you’re worried you might not have the relevant experience speak to Louise on 020 7557 6737. Length of Placement and Salary? All positions are full time, 40 hours per week. Some evening and weekend work will be required. The 2017/18 salary is fixed at £20,000 for London and Regional placements. Each month the trainee producer must submit a report form to Stage One signed by their mentor to note progress made and where training gaps may need attention. Stage One is a charity and dependent on funding from other trust or foundation bodies and it is essential that any reports asked for are submitted in on time.